More late breaking news, Trudeau very quick to react on infrastructure promises. 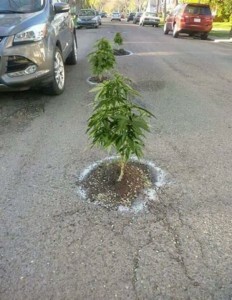 First step fix all the POT holes………………………Apparently it will be a JOINT project with the Green party!! !